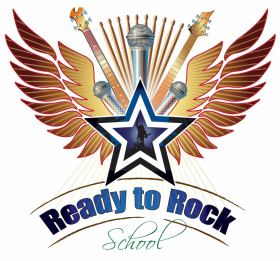 READY TO ROCK SCHOOL is run by top rock vocalist, Mark Thompson-Smith. Former vocalist of bands, TOUCHE, IDOL RICH, FLIGHT 19, PRAYING MANTIS,​ THE SWEET, BIG LIFE, FAY WRAY and current front man for LEATHER & LACE, Mark leads the excellent Ready To Rock tutor team in our South Hampshire locations, providing students, from the age of 8 years upwards to adults, with lessons in guitar, bass, drums and vocals and preparing them for the full on rock band experience!! The Ready To Rock team are selected not only for their obvious passion for music but for their excellent abilities to pass that on to our students and rapidly build the rapport that is needed to teach them not only how to play their instruments but also how to interact with their Ready To Rock School bandmates. From the initial learning of the notes, chords, scales, beats and rhythms, our CRB/DBS checked tutors transfer their excitement for all things musical, to our students preparing them fully for the songs we play during the lessons through to full band preparation for the regular charity and Ready To Rock School nights throughout the year. It's an exciting place to be, a place to make new friends, to gain confidence, to LEARN, to PLAY and to ACHIEVE your ambitions to be a young or 'mature 'rock star and, for those that want to gain the tick in the box for grades, we'll help out with ROCKSCHOOL preparations too.